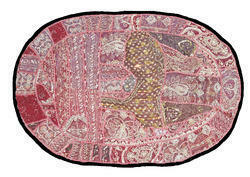 Adorn the walls of your living space with this exquisitely made, aesthically pleasing, and visually stimulating a piece of handmade embroidered wall hanging can be framed as painting. 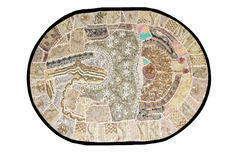 The art is imaginative and captivating, beautiful handmade hand embroidered beaded patchwork, the frames can be synthetic or wooden it will breathe a new life in the walls of your room. 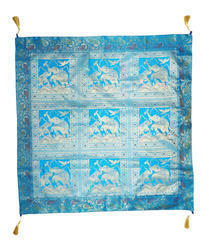 This product is without glass, lightweight and durable. 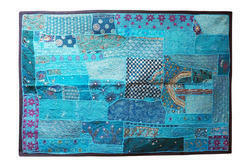 It will also make a thoughtful and unique gift for your loved ones on special occasions. 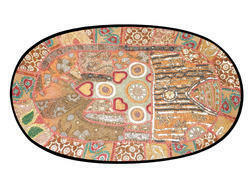 Moreover, economical with regards to price as hanging can be turned into regular painting. 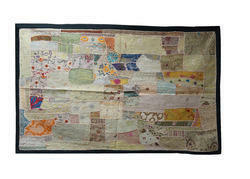 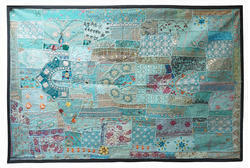 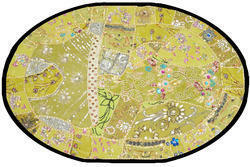 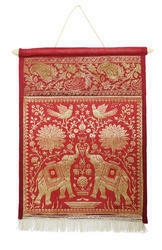 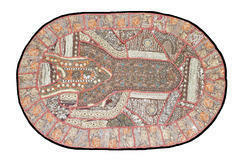 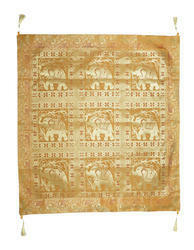 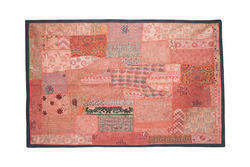 Size 60x36 inches, 5x3 ft.
We are the leading and prominent Wholesaler, Retailer and Trader of Wall Hanging. 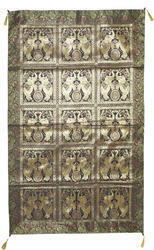 Material: Cotton fabric, precious and semi-precious stones, golden polished copper wire. 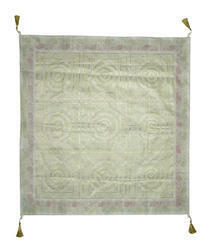 Color: Green is the fabric color and golden is zardozi work.